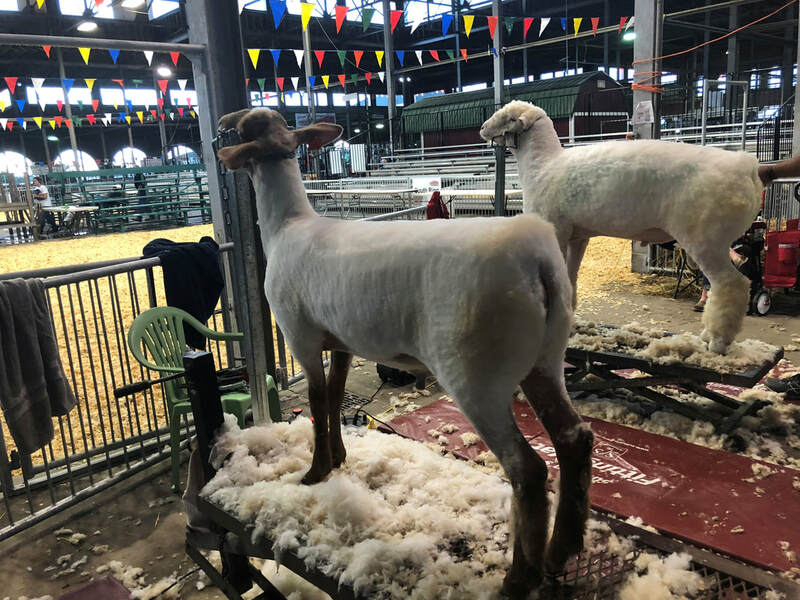 Tri-Star 1701 (Schambow 495 x JET 14021) - 2018 Delta Fair - Memphis, TN 1st Place Tunis Early Yearling Ewe, 2017 National Tunis Show at the Missouri State Fair - Sedalia, MO 6th Place February Ewe Lamb, 2017 Delta Fair - Memphis, TN 1st Place Tunis February Ewe Lamb, Champion Tunis Ewe & Supreme Champion Ewe, 2017 Arkansas State Fair - Little Rock, AR 1st Place Tunis Spring Ewe Lamb and Champion Tunis Ewe. 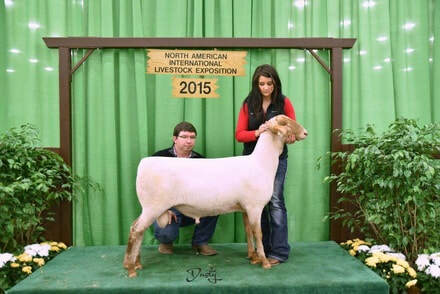 Tri-Star 1704 (Schambow 495 x RQL 1501) - 2017 North American International Livestock Expo (NAILE) - Louisville KY 2nd Place March Ewe Lamb, 2017 National Tunis Show at the Missouri State Fair - Sedalia, MO 2nd Place March Ewe Lamb, 2017 Arkansas State Fair - Little Rock, AR 2nd Place Tunis Spring Ewe Lamb and Reserve Champion Tunis Ewe. 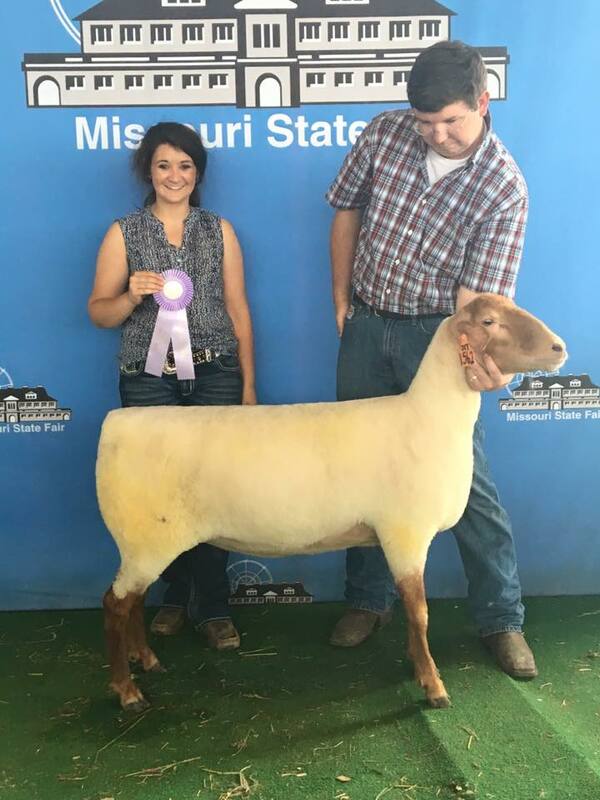 Jet 1562 - 2016 Missouri State Fair - Sedalia MO 2nd Place Yearling and Reserve Champion Tunis Ewe, 2016 Tennessee State Fair - Nashville TN 1st Place Yearling Champion All Other Breeds Meat Ewe. 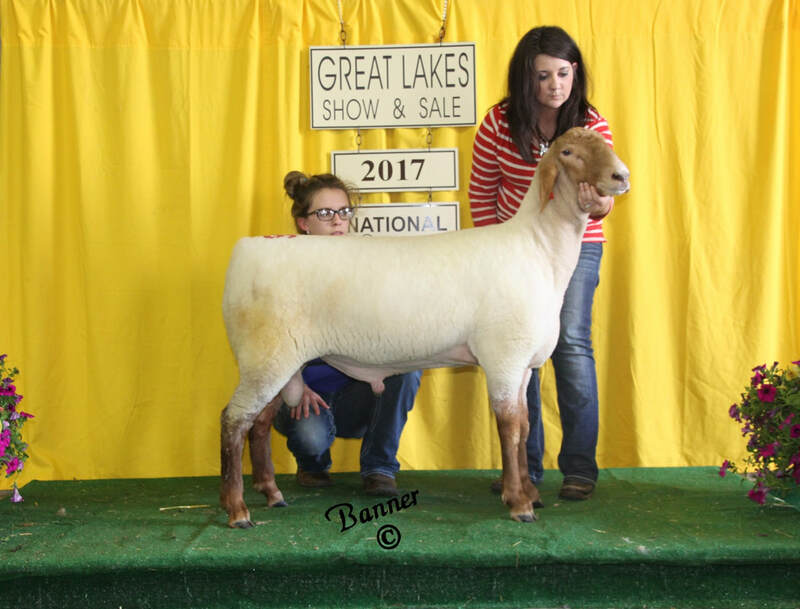 Tri-Star 1704 (Schambow 495 x RQL 1501) - 2018 Delta Fair - Memphis, TN 1st Place Tunis Late Yearling Ewe and Champion Tunis Ewe, 2017 North American International Livestock Expo (NAILE) - Louisville KY 2nd Place March Ewe Lamb, 2017 National Tunis Show at the Missouri State Fair - Sedalia, MO 2nd Place March Ewe Lamb, 2017 Arkansas State Fair - Little Rock, AR 2nd Place Tunis Spring Ewe Lamb and Reserve Champion Tunis Ewe. 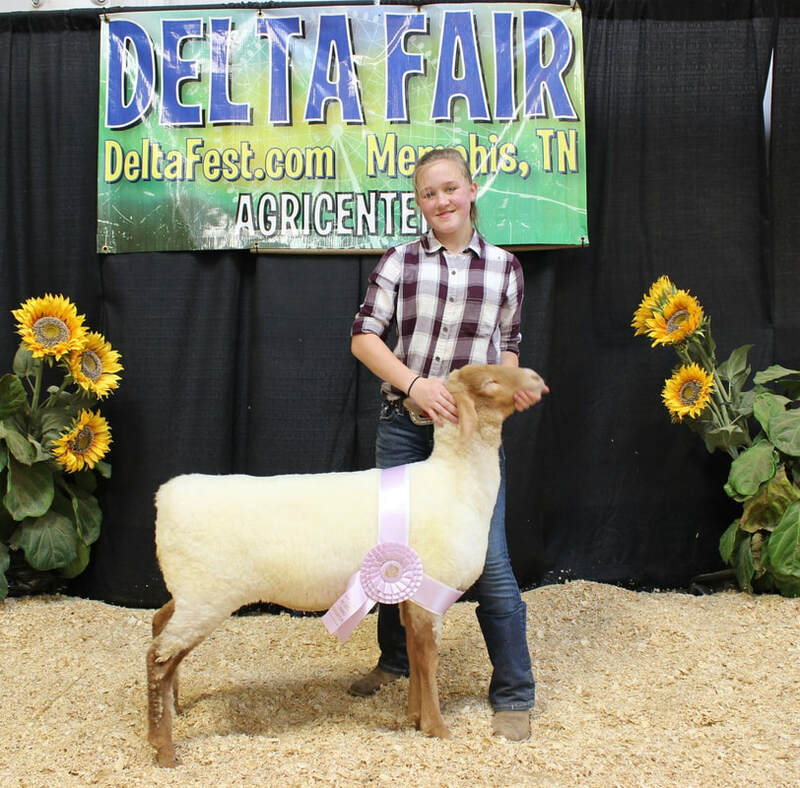 Tri-Star 1808 (Schambow 495 x RQL 1501) SOLD TO SKYLAR LOWERY - 2018 Delta Fair - Memphis, TN 1st Place Feburary Ewe Lamb Reserve Champion Tunis Ewe, 2018 Obion County Fair - Union City, TN 1st Place Feburary Ewe Lamb Champion Tunis Ewe, 2018 Dyer County Fair - Dyersburg, TN 1st Place Feburary Ewe Lamb Reserve Champion Tunis Ewe. 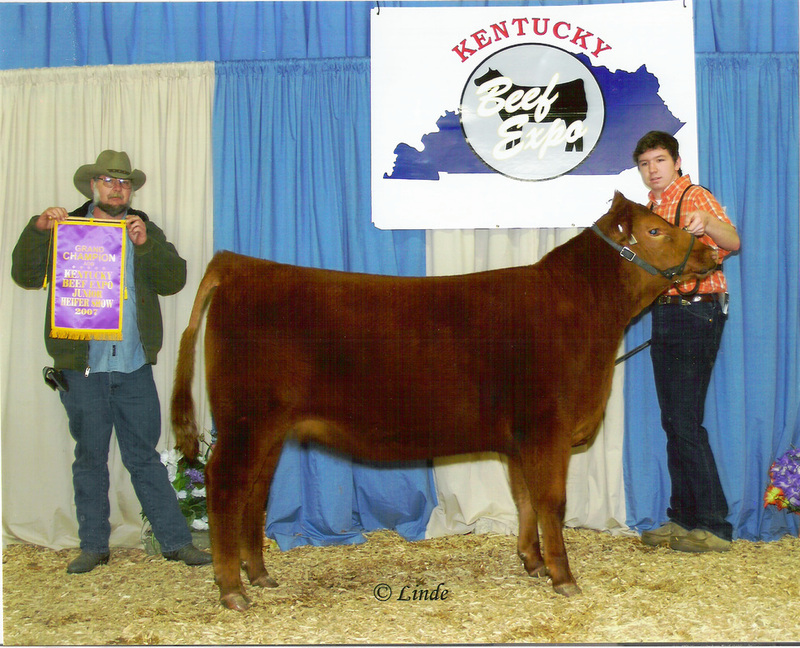 Tri-Star 1601 (Schambow 495 x Jet 14021) - 2016 North American International Livestock Expo (NAILE) & National Tunis Show - Louisville KY 2nd Place February Buck Lamb, 2016 Missouri State Fair - Sedalia MO 2nd Place Spring Buck Lamb, 2016 Delta Fair - Memphis TN 1st Place Early Spring Ram Lamb Champion All Other Breeds Ram & Reserve Supreme Champion Ram, 2016 Tennessee State Fair - Nashville TN 1st Place Early Spring AOB Ram Lamb, 2016 Arkansas State Fair - Little Rock AR 1st Place Spring Tunis Ram Lamb and Champion Tunis Ram. 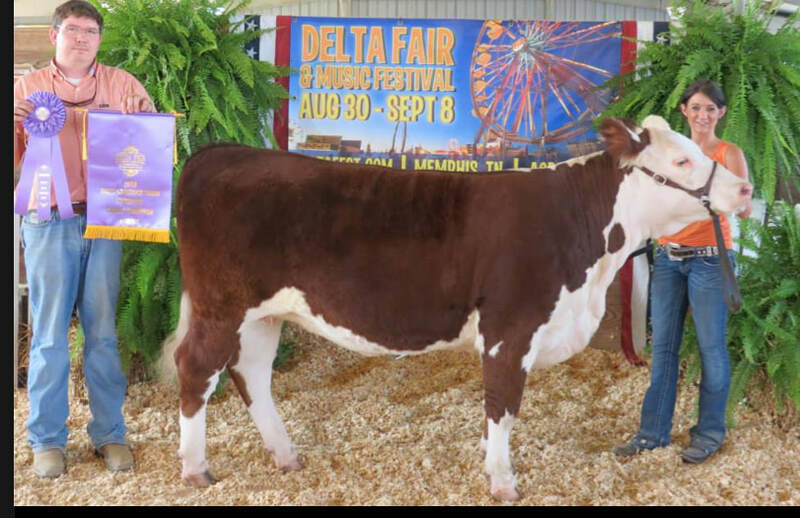 FFF AF Navigator's Maggie 12 - Champion Hereford Female 2013 Delta Fair Memphis ,TN. KJHT Mary Lou 647 - KJHT Mary Lou 647 2007 Kentucky Beef Expo - Louisville, KY Champion All Other Breeds Female (Jr. Show), 2007 Kentucky Beef Expo - Louisville, KY Champion Red Angus Female (Open Show), 2007 Tennessee State Fair - Nashville, TN Division Champion, 2007 Mid-South Fair - Memphis, TN Division Champion 2007.